Big food and drink brands have ruled the roost for many years on supermarket shelves but an increasing number of people have lost their appetite for the established global products. Nowhere has the shift – let’s call it a revolution – been more noticeable than at the global giant Kraft Heinz. Not enough craft in Kraft Heinz. The company’s share price has collapsed in recent weeks as it has dawned on investors that the strategy of believing that big brands are impenetrable is flawed and it has potentially run its course. 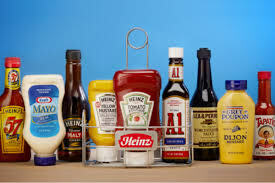 Kraft Heinz management has previously fuelled share price growth by cutting costs and thereby boosting the profitability of its core brands. This coincided with too little investment in new product development (NPD) and innovation. Where the company – and others in its league – finds itself is with little opportunity to cut more costs, withering interest in the core product range, and too little of appeal on the NPD runway to entice consumers. What also afflicts large companies is the inability to really think innovatively. The divide between young companies and the massive incumbents is growing and it’s the smaller players that are moving into the driving seat. The language used and the processes that are in place within large organisations certainly does not help. Apparently ‘healthy’ cuisine is defined by Kraft Heinz as a consumer “need state”. Other such states include ‘craft’, which refers to foods that suggest locality, and also ‘ethnic’. It’s all a little bit too prescriptive. We can all understand why large companies have to rely on such definitions and descriptors but the worry for the likes of Kraft Heinz must be that this simply highlights just how far away they are from real instinctive, disruptive and agile behaviour. These are the characteristics that a growing number of consumers are finding increasingly attractive in other smaller brands. 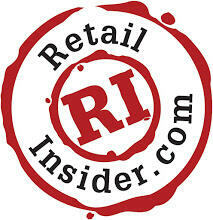 It is not just in the FMCG category that companies have to be concerned about being hidebound by process, and thereby bereft of innovative thinking, because there are myriad challenger brands recognising a great opportunity in stealing market share from the established players in all areas of business including retail.